Welcome to our pages. We know you will find many items of interest. As you browse these pages, jot down your questions and call us. We do not charge you for telephone calls, nor do we charge for initial conferences. You'll find that we can take much of the worry and stress out of your financial life. What are your odds of being audited by the IRS? Click here to find out. Please call 383-1041 or e-mail for a FREE copy of our tax-cutting brochure. We prepare hundreds of tax returns every year. We know what to look for when your return is prepared. More importantly, you have someone to ask questions of during the rest of the year. And, we will put you on our mailing list to receive timely tax and financial information. Business problems and their solutions are as varied as are different businesses. There are some universal truths, however, in managing any business. Give us a call for a no-charge initial conference. You should interview us, as you would any professional, to determine if we will be a good long-term match for you and your business. Please call 383-1041 or e-mail to receive a FREE copy of 53 Ways to Increase Your Profit. Please call us at 383-1041 to discuss how we can be of service. We will act as your sounding board. 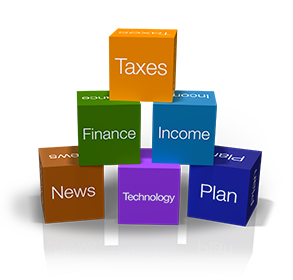 We will review your investment ideas with you and your investment advisor and suggest the best structure to maximize your after-tax return. Retirement Calculator - how much to save and how long will it last? Please contact us for a no charge conference. We can get acquainted, and you can see if we will be a good match for your financial matters.